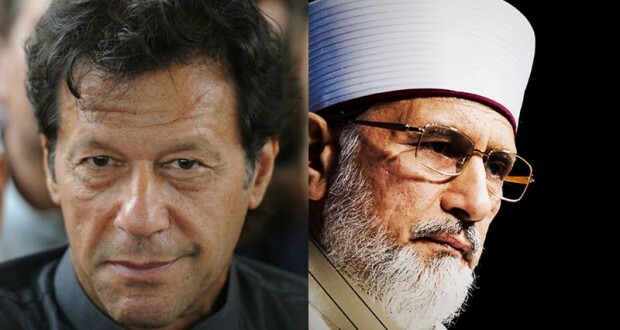 Pakistan Awami Tehreek (PAT) Chairman Dr Tahirul Qadri on Saturday said that Pakistan Tehreek-e-Insaf (PTI) Chairman Imran Khan’s decision to demand formation of a judicial commission to probe alleged rigging in the 2013 general election was wrong. Qadri is a firebrand Canada-based scholar who has twice tried to bring down the governments of Pakistan People’s Party (PPP) in 2013 and of the Pakistan Muslim League-Nawaz in 2014, by holding big sit-in protests of his followers in the federal capital – only to make a humiliating exit each time. “I always said that the commission would give a clean chit to the government,” Qadri said while addressing a press conference at the PAT Secretariat. He added that he had also advised Khan, whom the PAT chief had termed his ‘political cousin’ during the PTI-PAT joint sit-in protest in Islamabad’s Constitution Avenue last year in August, not to demand a judicial commission for the rigging probe. The PAT chief raised an eyebrow over the immediate disclosure of the judicial commission’s report by the government. Qadri also announced that his party would participate in the local government elections regardless of the outcome.